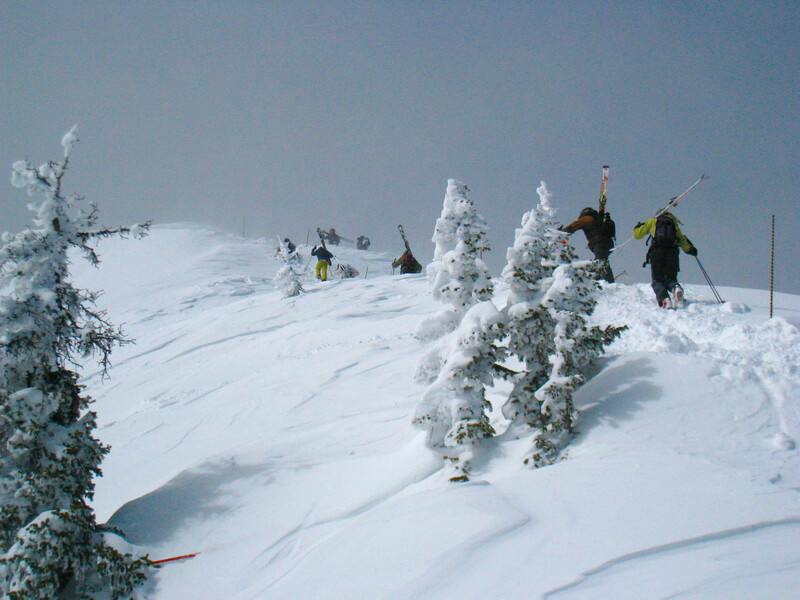 2000 acres of skier and rider accessible terrain feature Bridger Bowl Ski Area’s light and fluffy “cold smoke” snow. Averaging 350 inches of snow a year with a 2,700ft vertical rise serviced by eight chairlifts, skiers and riders will find terrain to accommodate the very beginner to the extreme expert skiers and riders. The 20-minute hike to terrain of the “The Ridge” is known for its steep chutes and open powder fields, while 75 named trails and then some, vary from easiest through advanced and expert terrain. Family friendly with a small town atmosphere complements the “Ski the Cold Smoke” experience. Complete ski and snowboard school, daycare (Playcare for children 18 months to 6 years), rental and retail shop, and hotel shuttle. Two lodges are available, one at the base and one mid-mountain, offering a variety of food and beverage including fireside table service and a gourmet coffee/espresso bar. Get Snow Reports, Powder Alerts & Powder Forecasts from Bridger Bowl straight to your inbox!